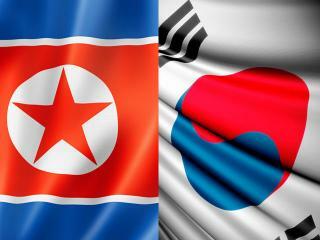 SOUTH KOREA: North Korea has rejected South Korea's offer to open formal talks on restarting operations at the Kaesong joint industrial zone, Yonhap news agency said Friday, citing the North's National Defence Commission. Seoul on Thursday had given the North 24 hours to agree to formal negotiations on the Kaesong complex, warning of unspecified “significant measures” if Pyongyang declined. “If the South Korean puppet force continues to aggravate the situation, it would be up to us to take any final and decisive grave measures,” Yonhap cited the Defence Commission statement as saying. The South's ultimatum had been seen as a thinly veiled threat of a permanent withdrawal from Kaesong, which normally employs 53,000 workers at 123 South Korean firms. The industrial zone, located about 10 kilometres (six miles) inside the North, was seen as a rare example of cooperation across the heavily militarised border. But Pyongyang pulled out its entire workforce on April 9 and suspended operations, angered by the South's mention of a “military” contingency plan to protect its staff at the site. The South Korean firms that usually operate at the complex have vowed to remain and fight to defend their investment whatever Seoul's decision. “We've decided to protect Kaesong Industrial Complex no matter what difficulties we may face,” a spokesman for the South Korean companies, Ok Sung-Seok, told journalists.